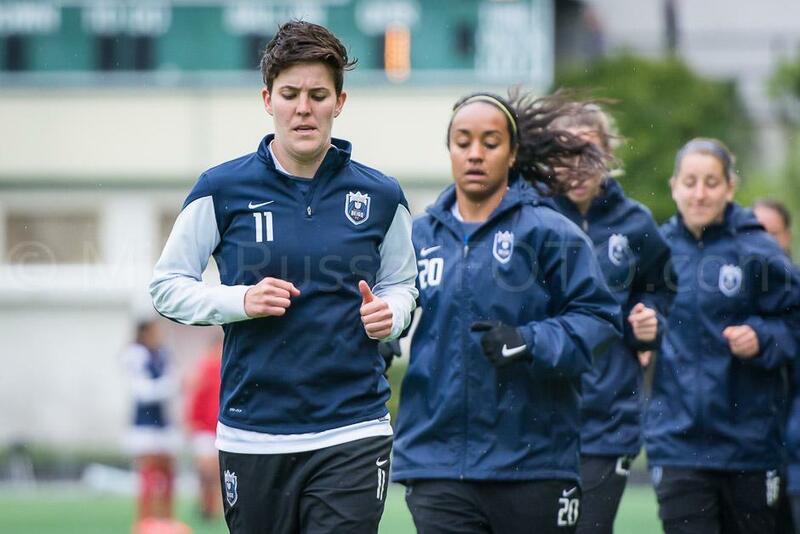 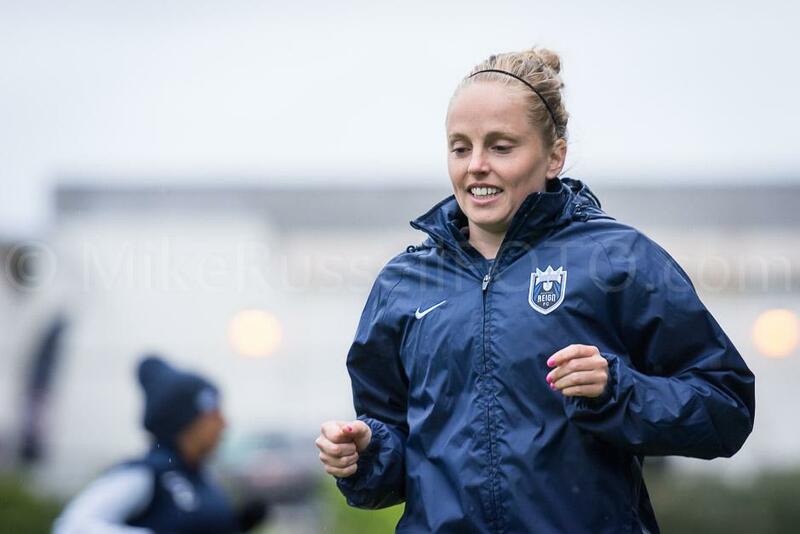 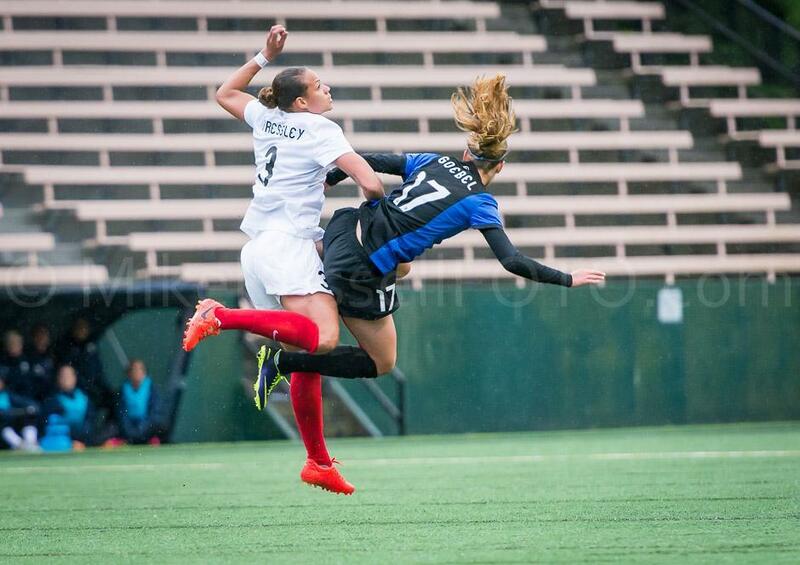 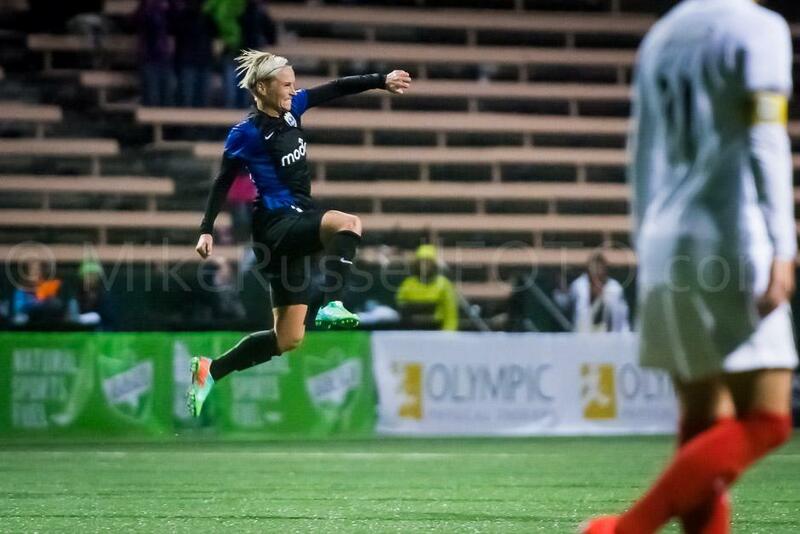 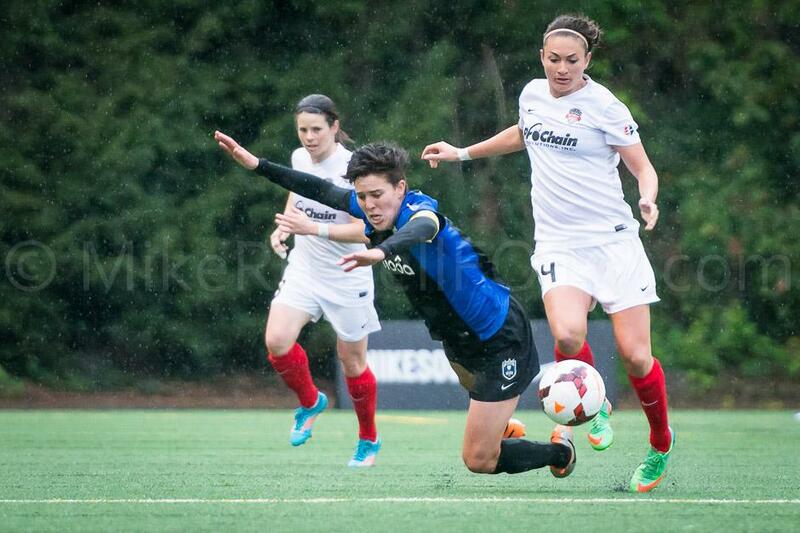 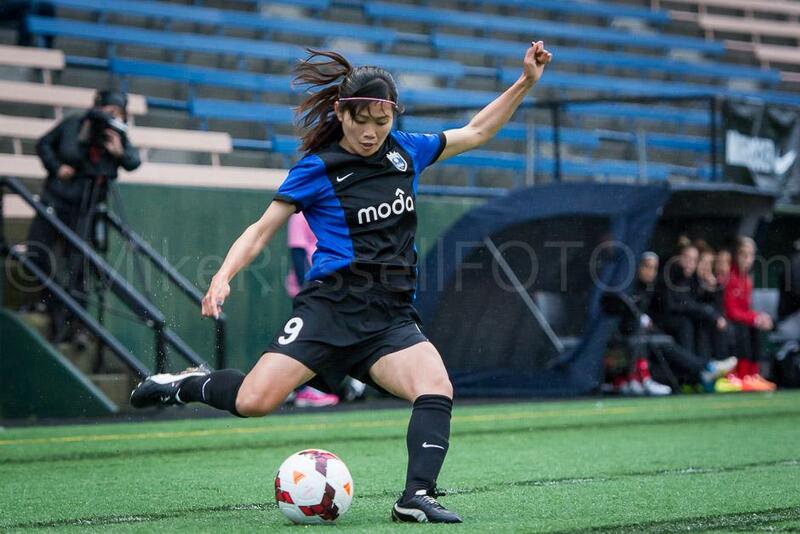 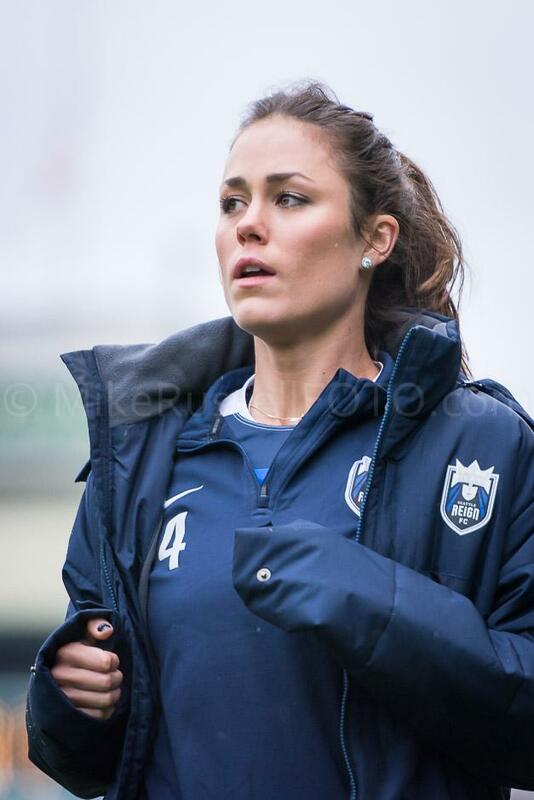 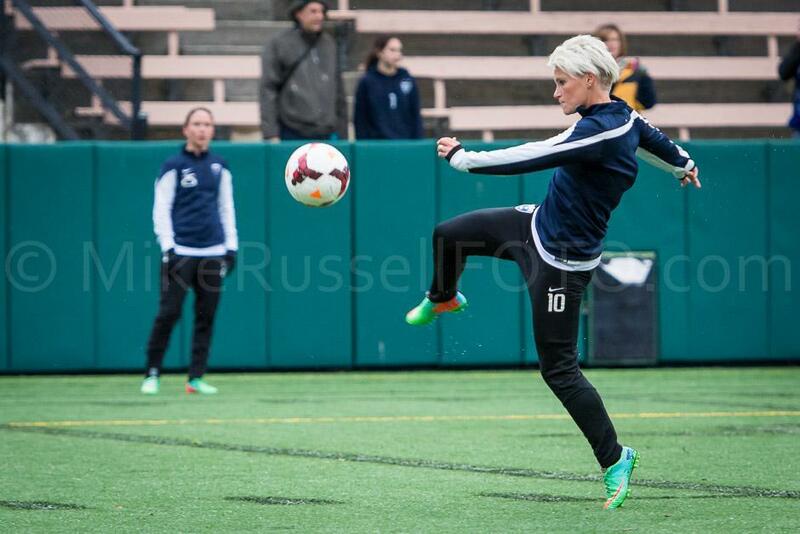 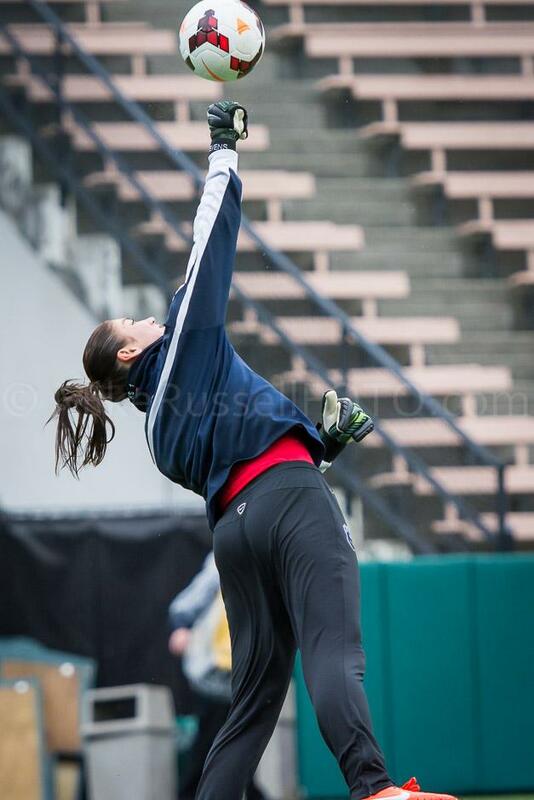 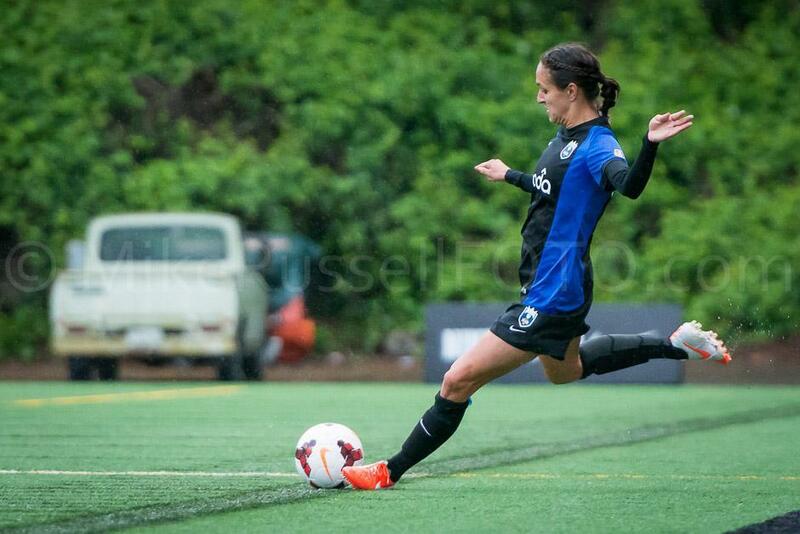 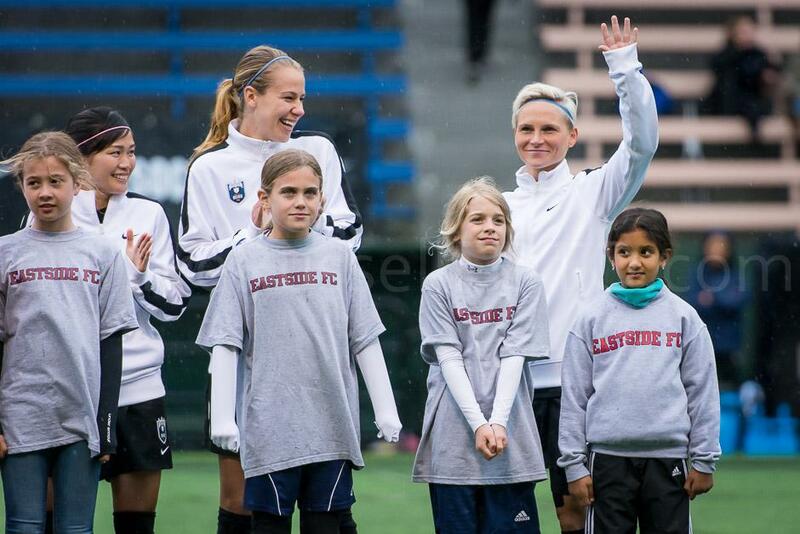 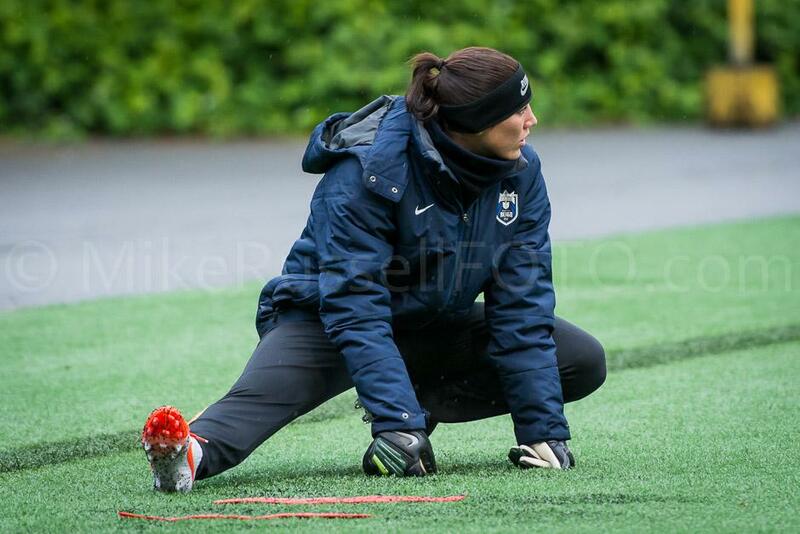 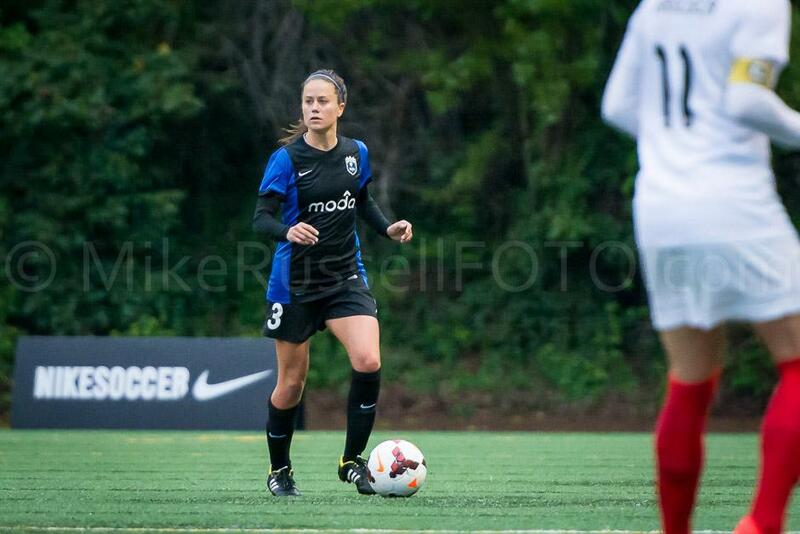 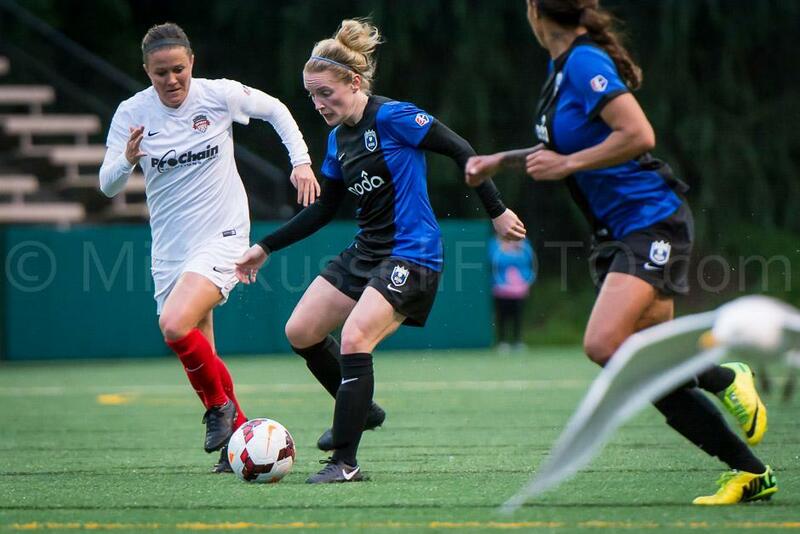 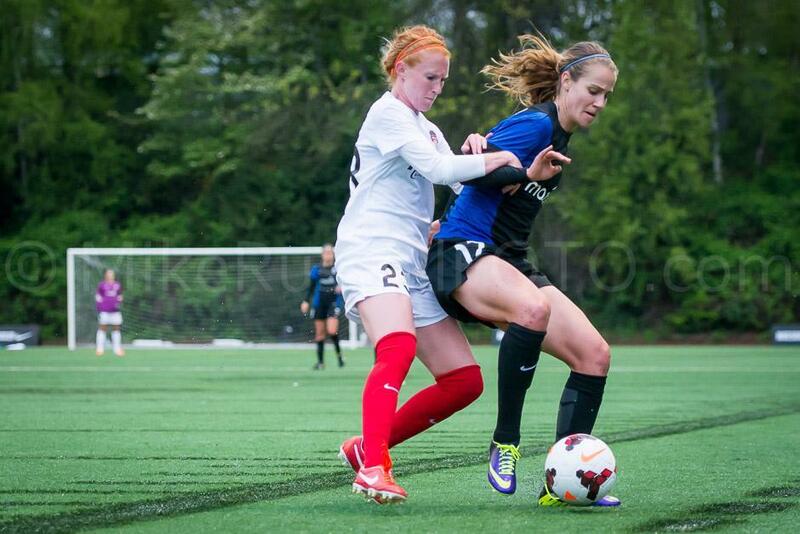 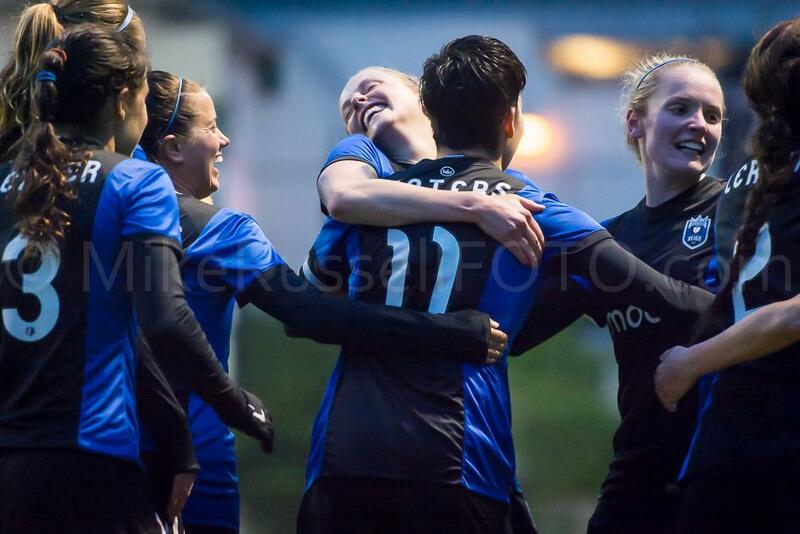 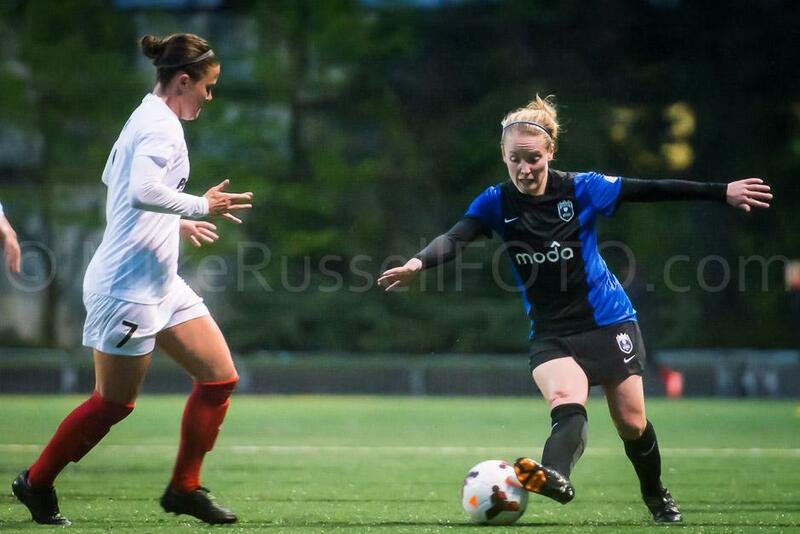 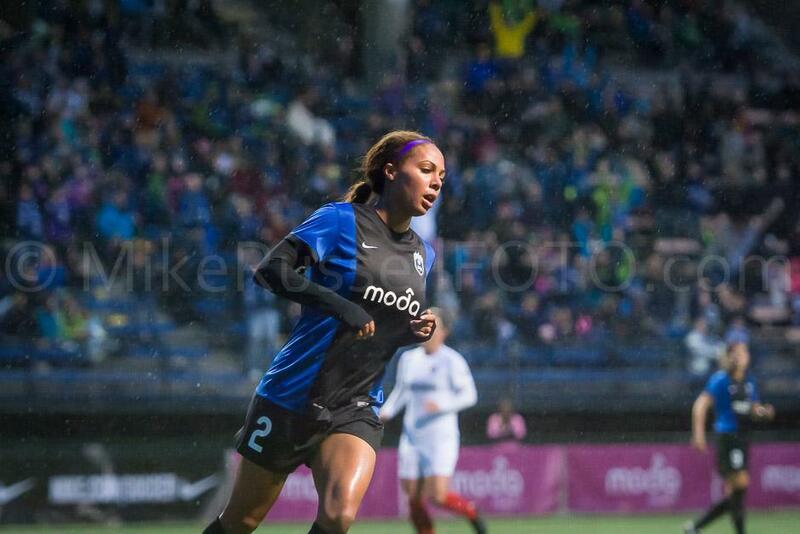 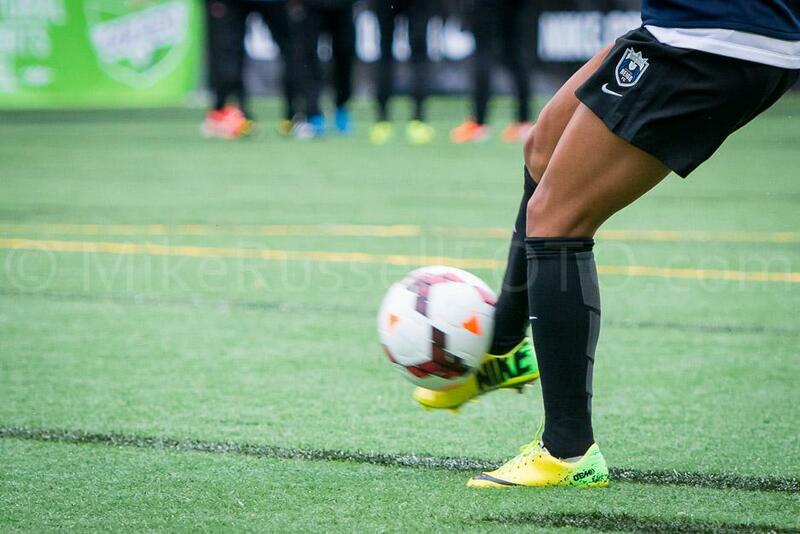 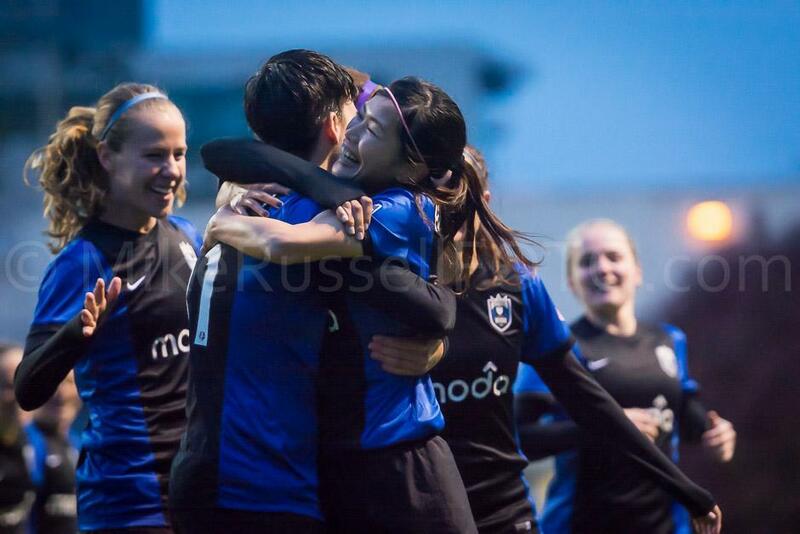 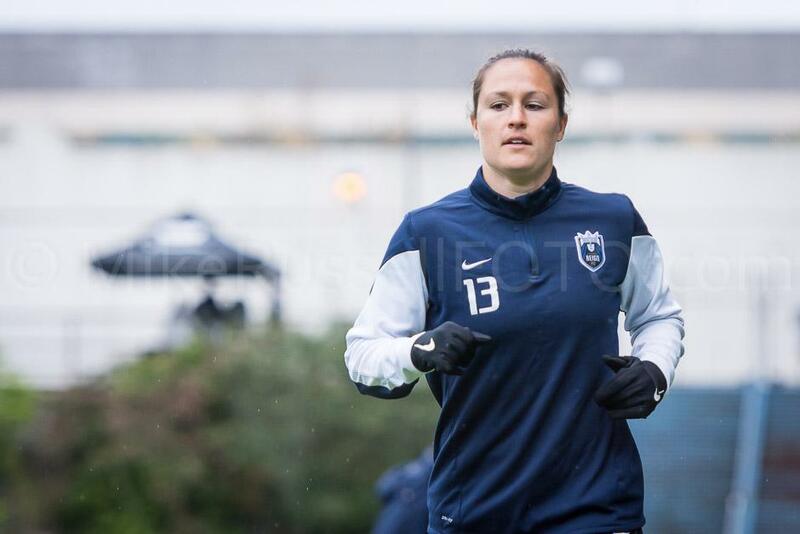 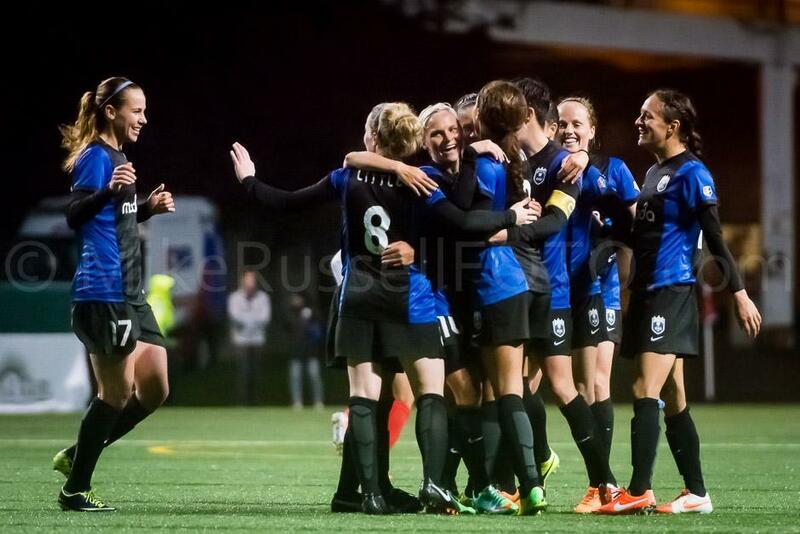 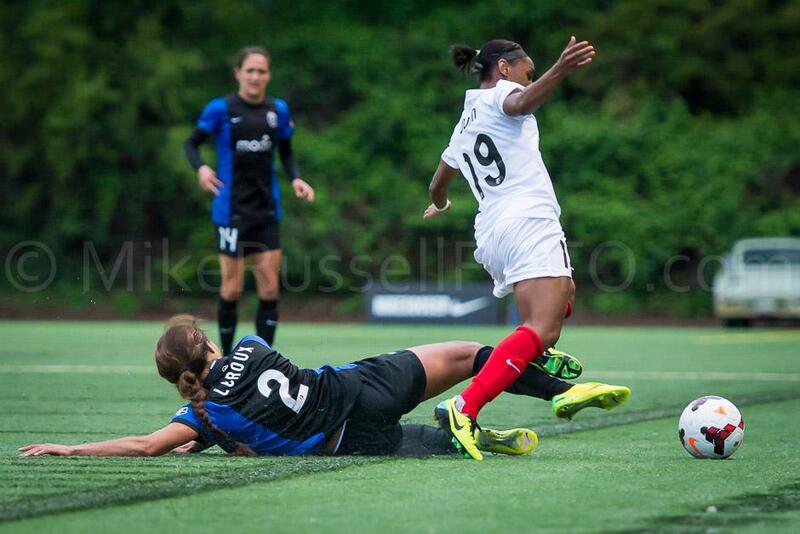 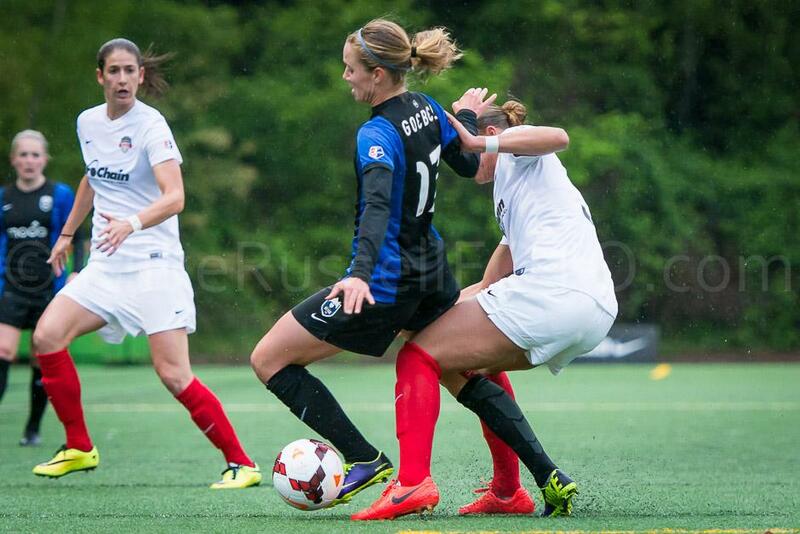 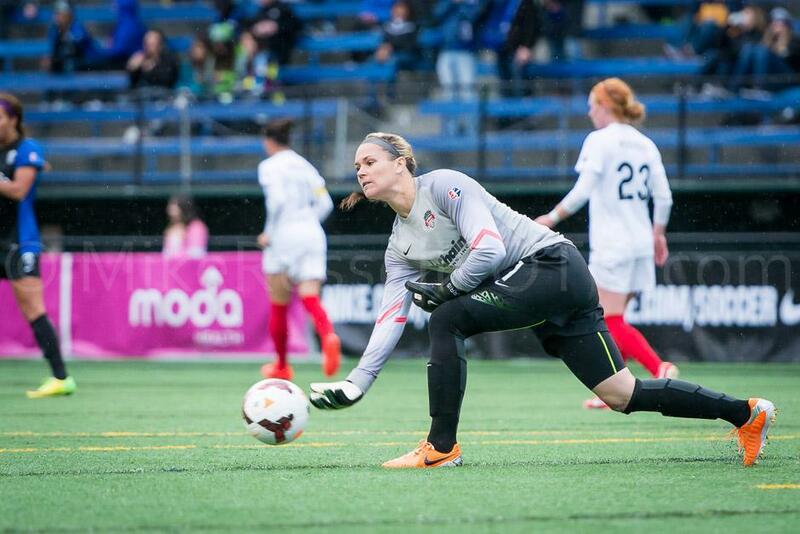 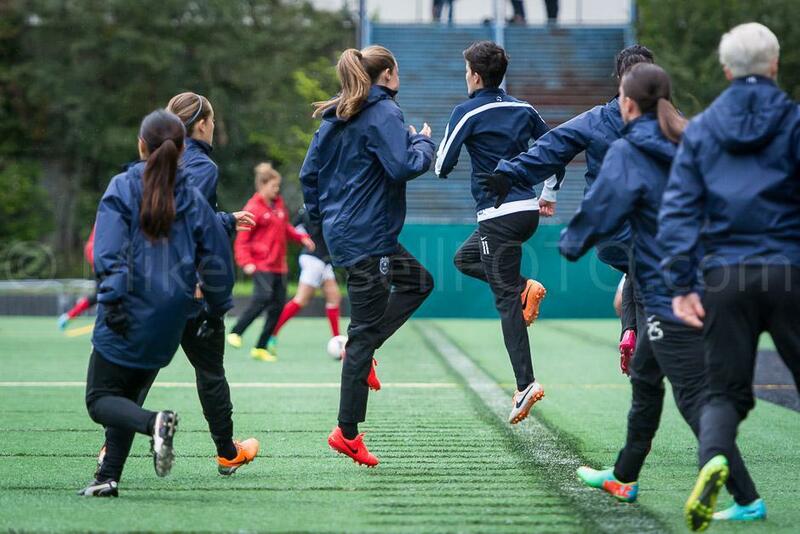 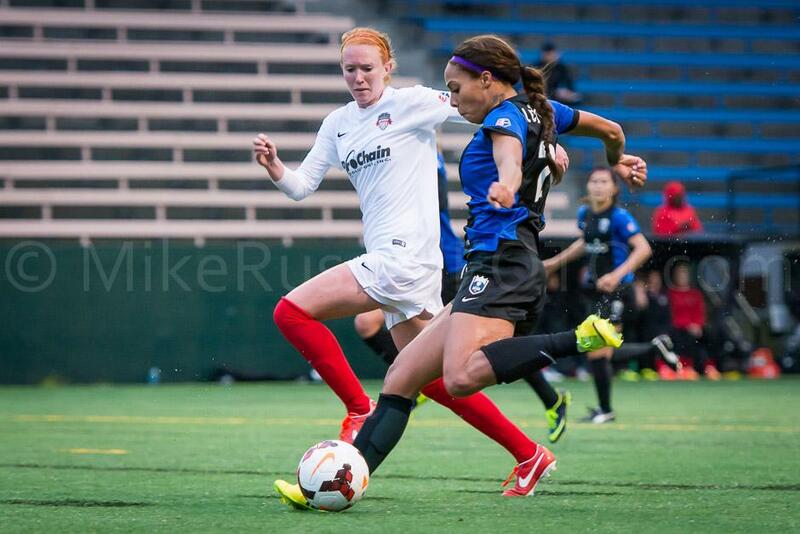 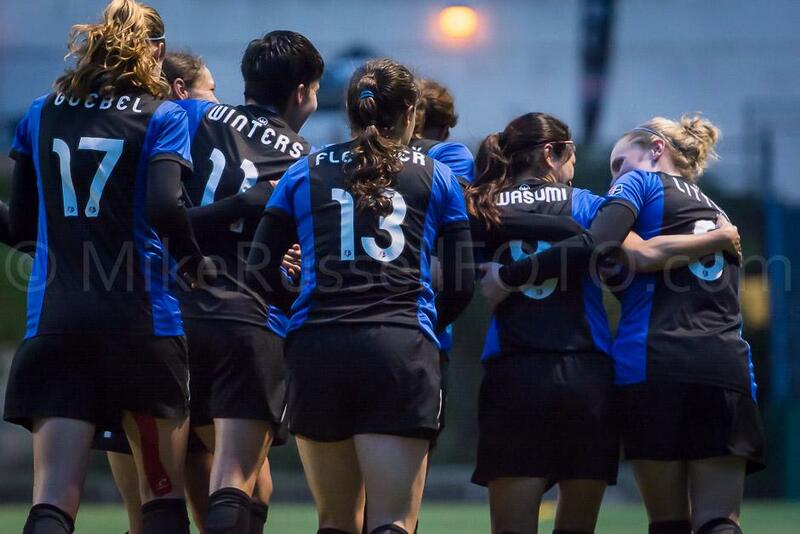 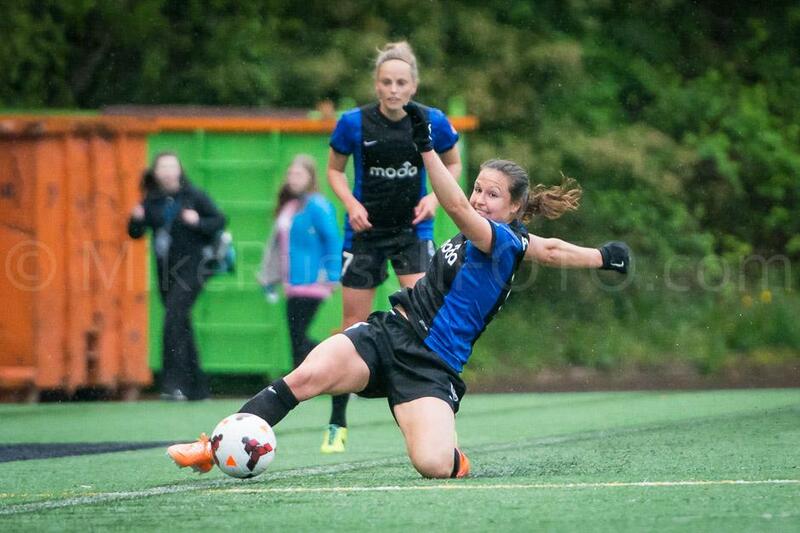 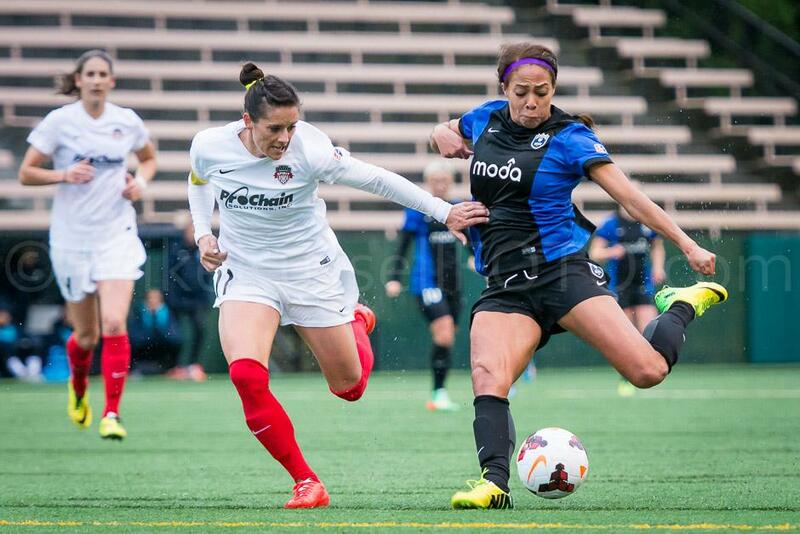 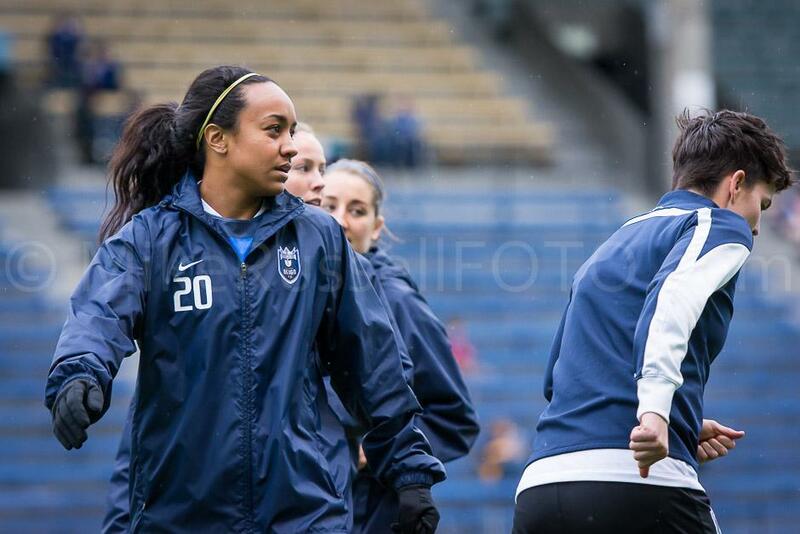 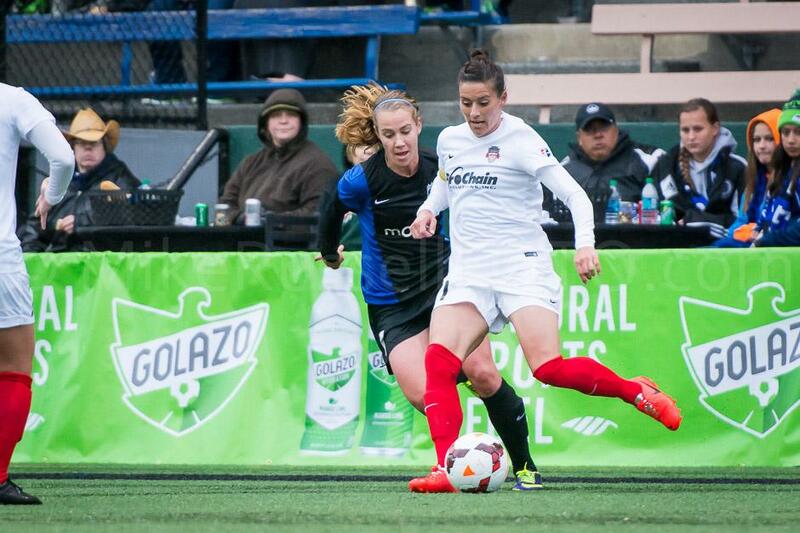 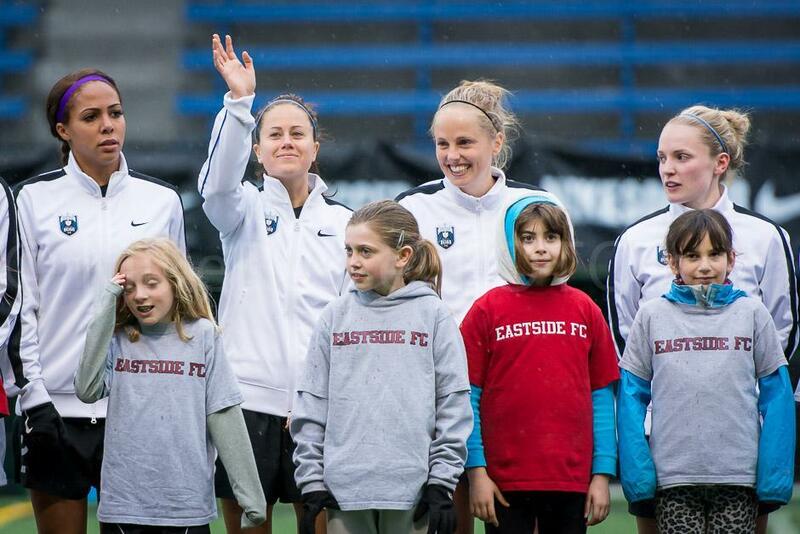 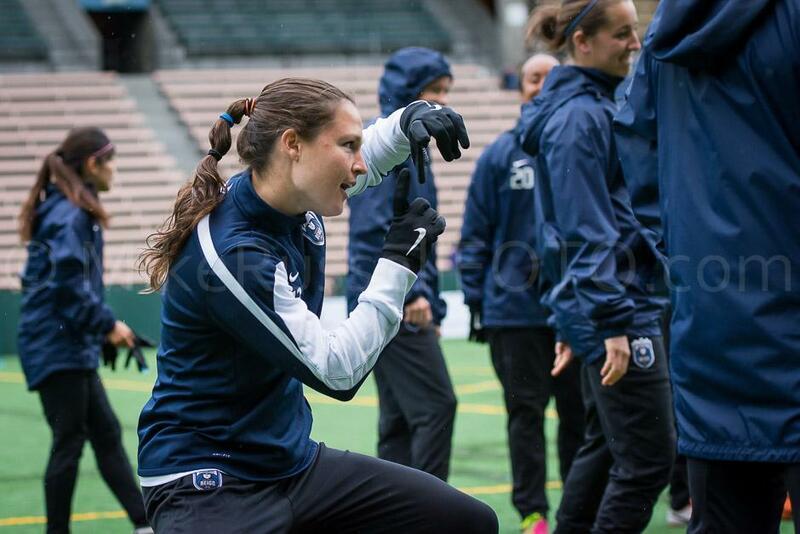 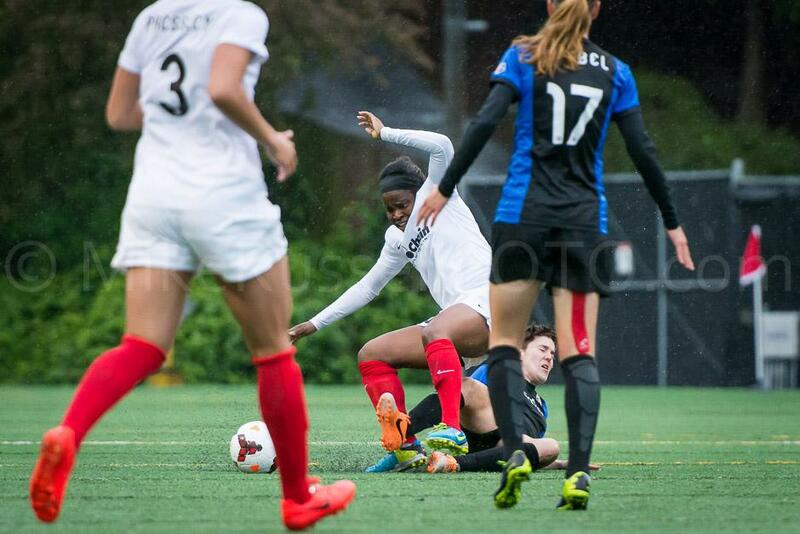 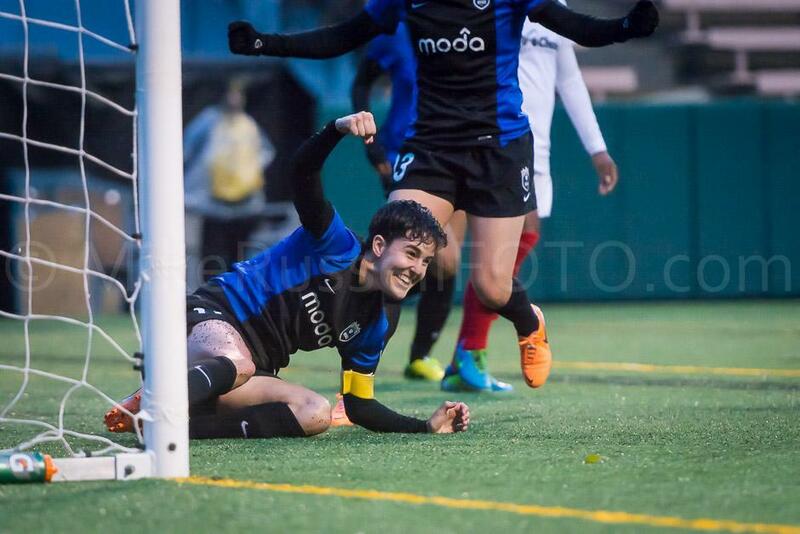 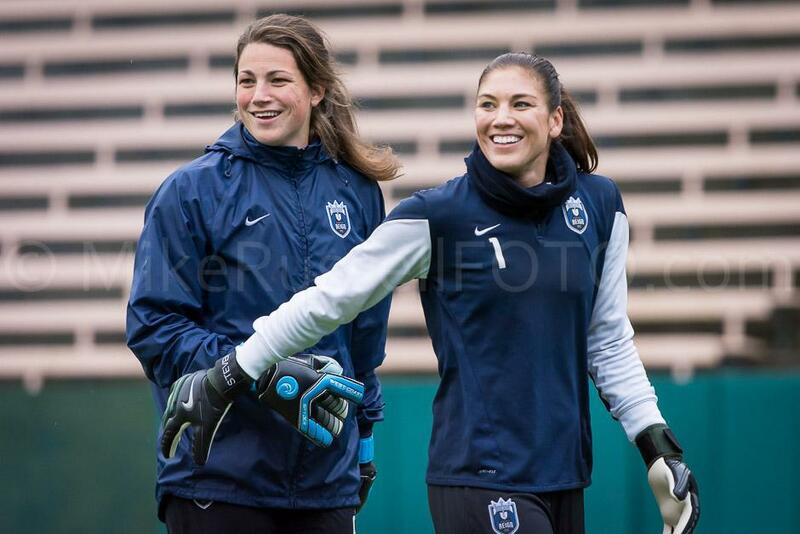 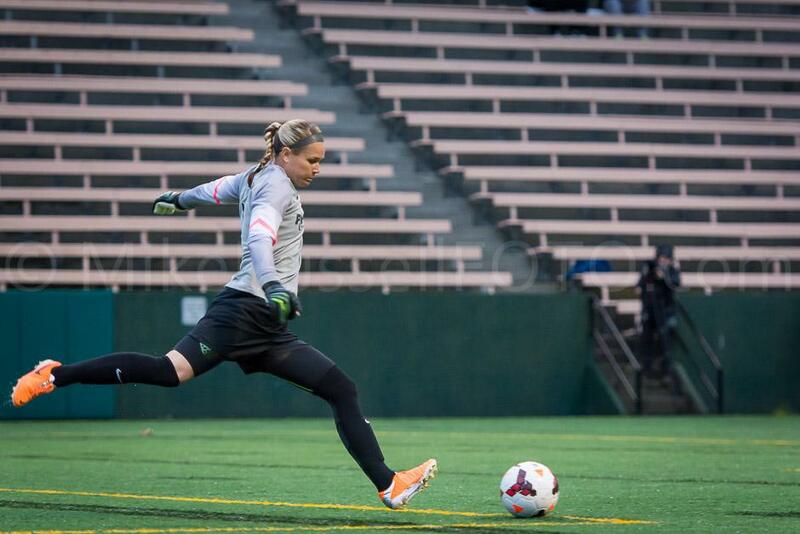 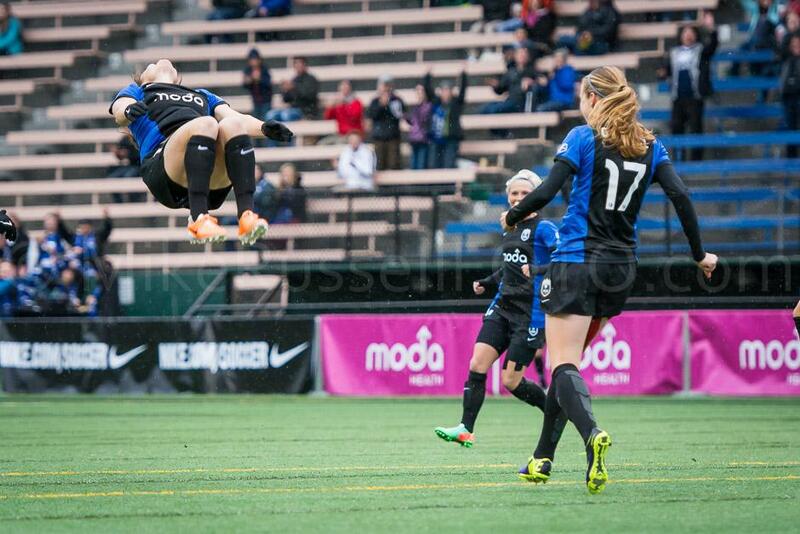 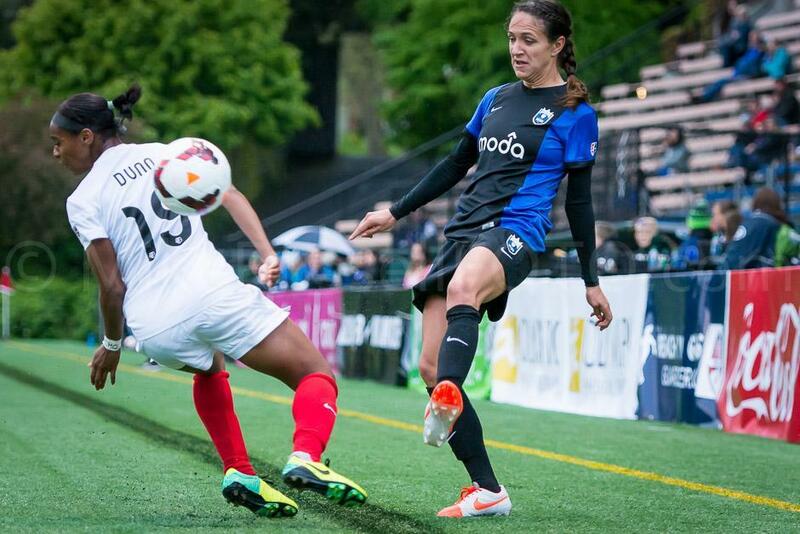 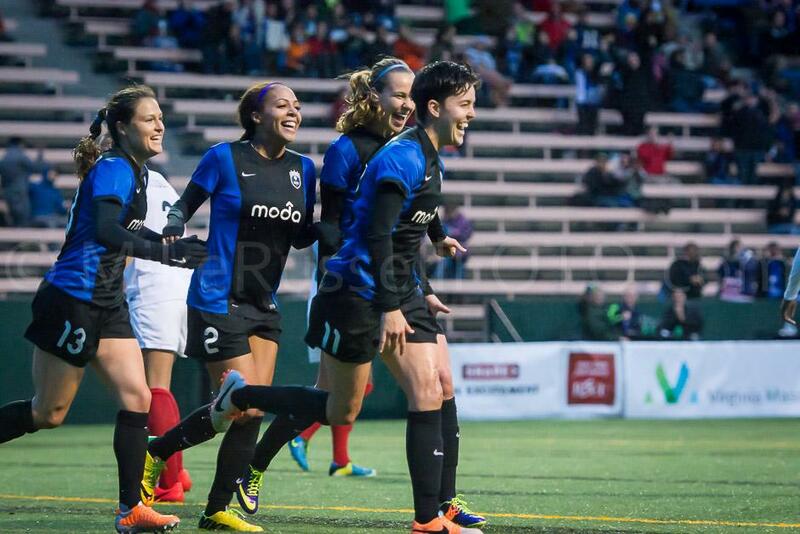 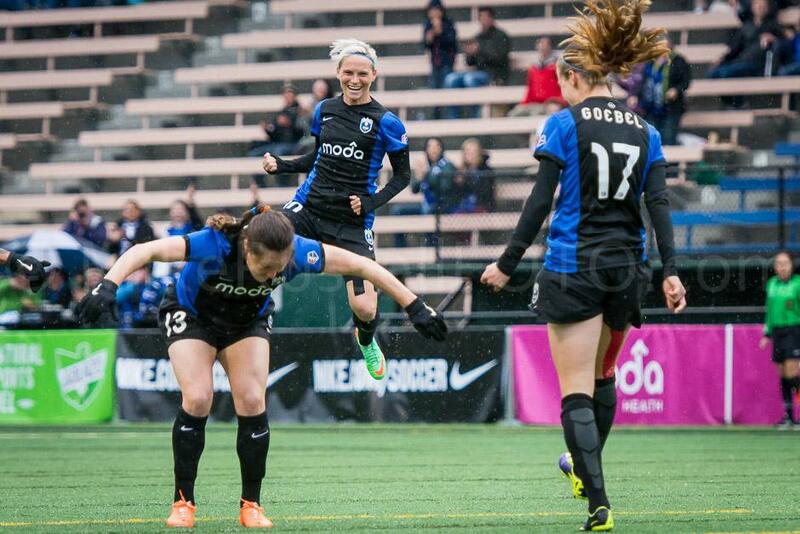 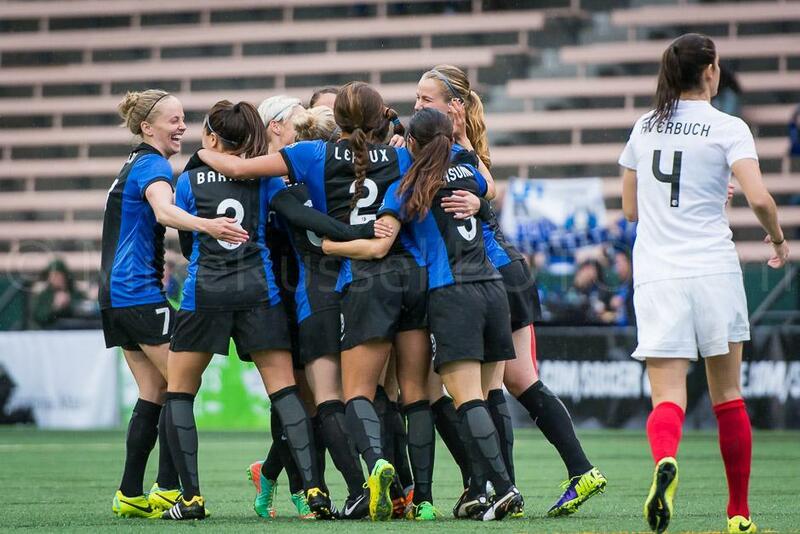 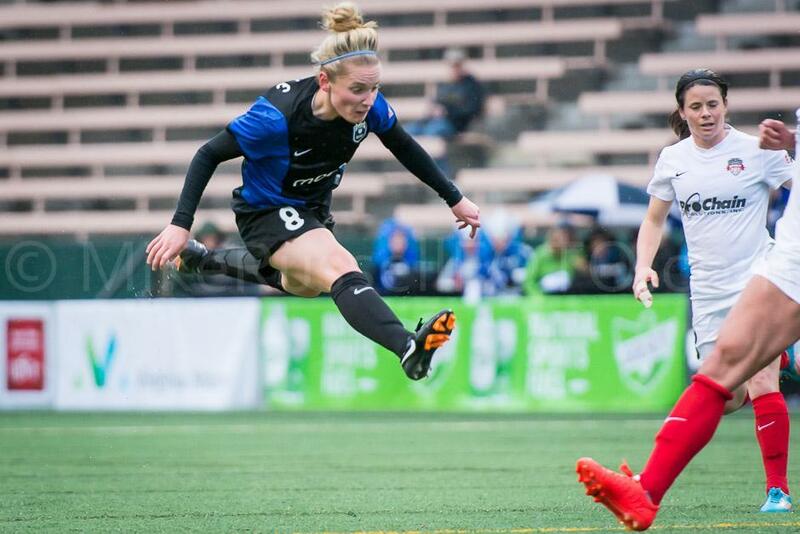 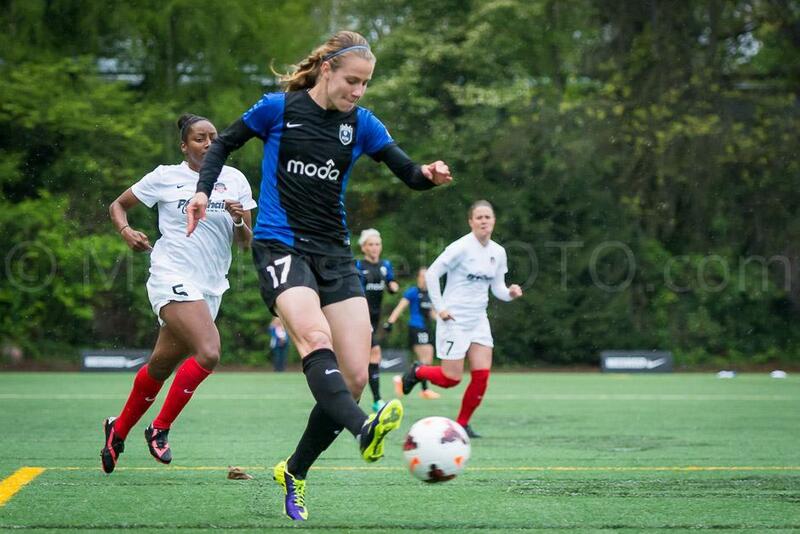 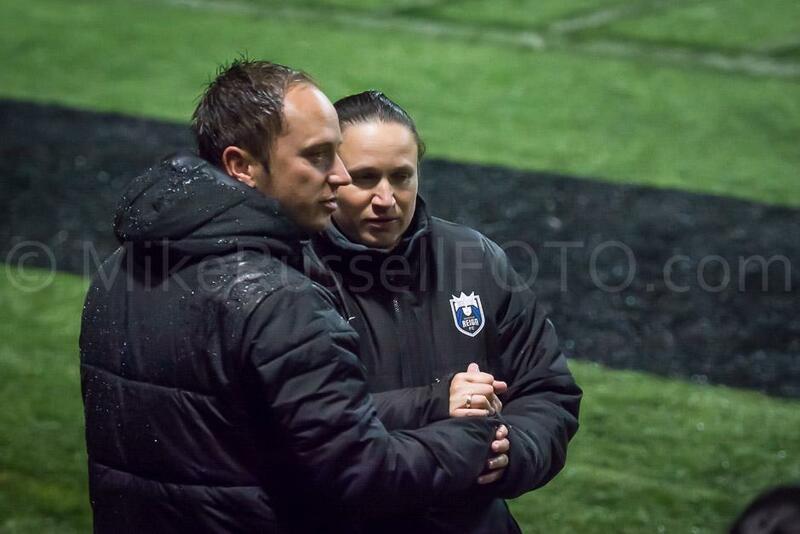 On Wednesday night, Seattle Reign FC played their second match of the NWSL season. 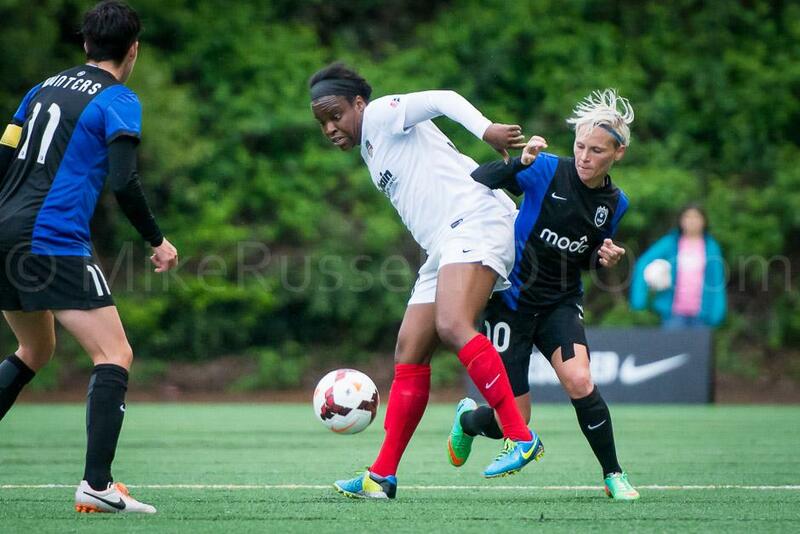 Megan Rapinoe did not play, but that didn’t stop their offensive production against the Washington Spirit. 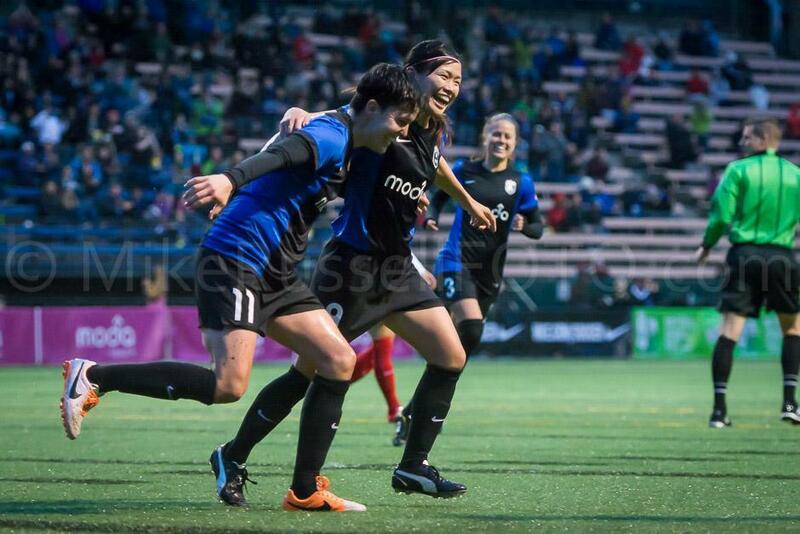 They once again tallied three goals on the night. 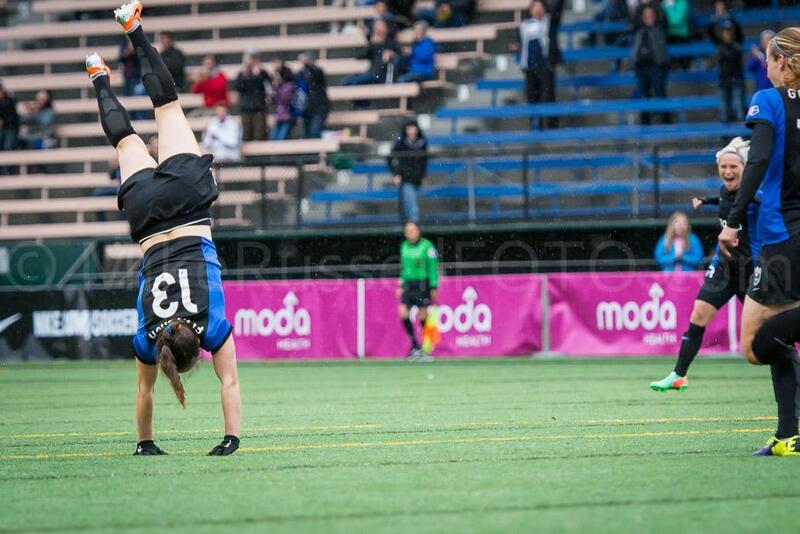 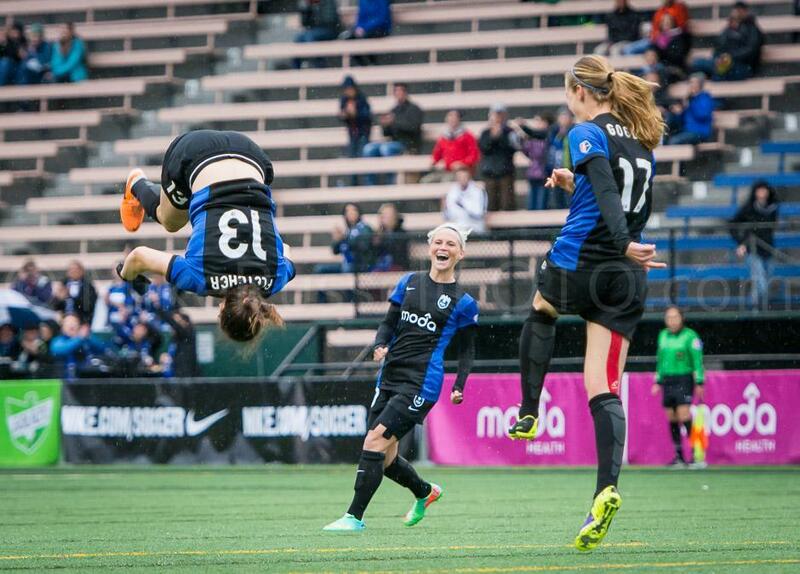 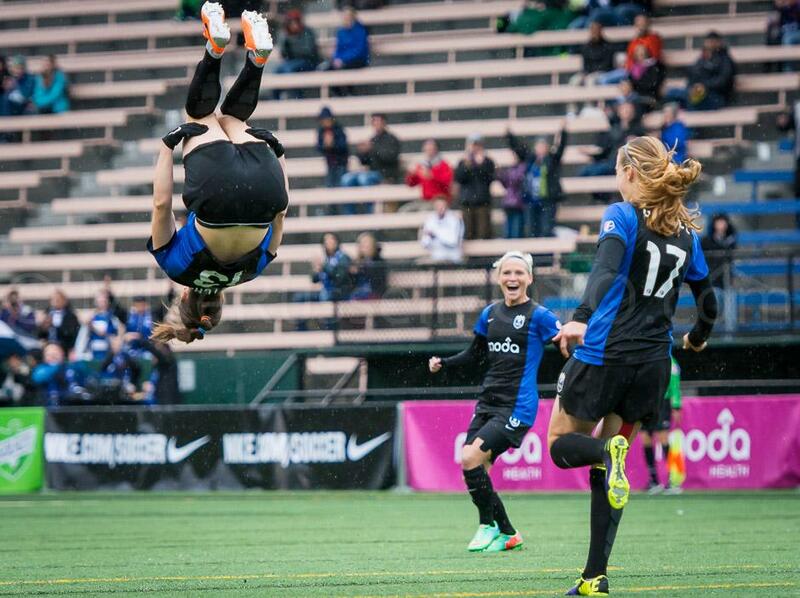 Kendall Fletcher scored in just the third minute and celebrated with a great back flip. 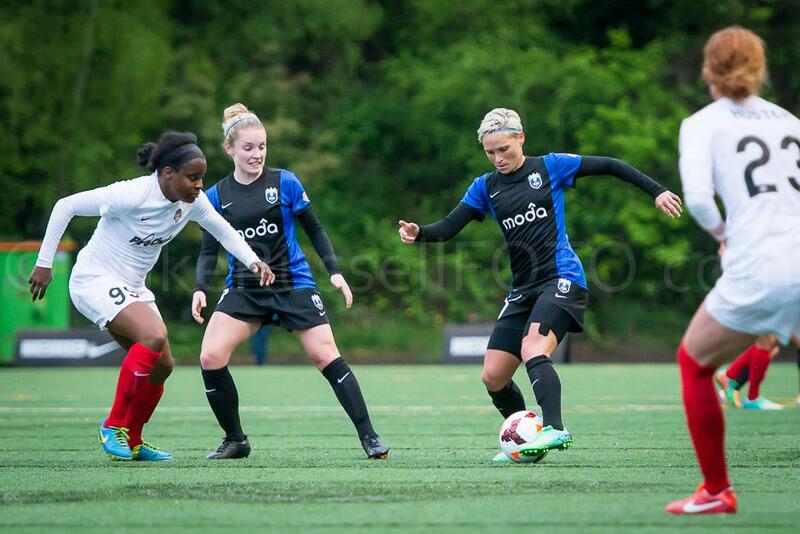 Then just three minutes into the second half, Keelin Winters nicely headed one in off a great corner from Nahomi Kawasumi. 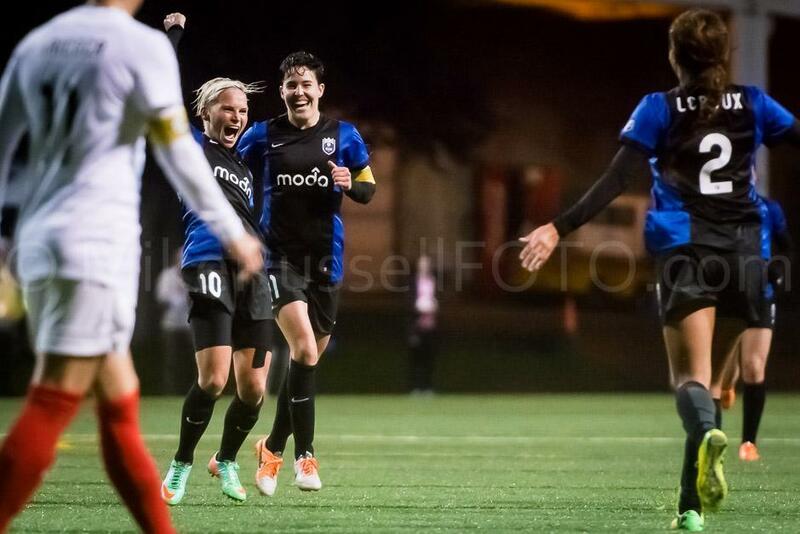 Finally, in the 80th minute Jess Fishlock put one past Ashlyn Harris with a powerful low shot into the far corner of the net. 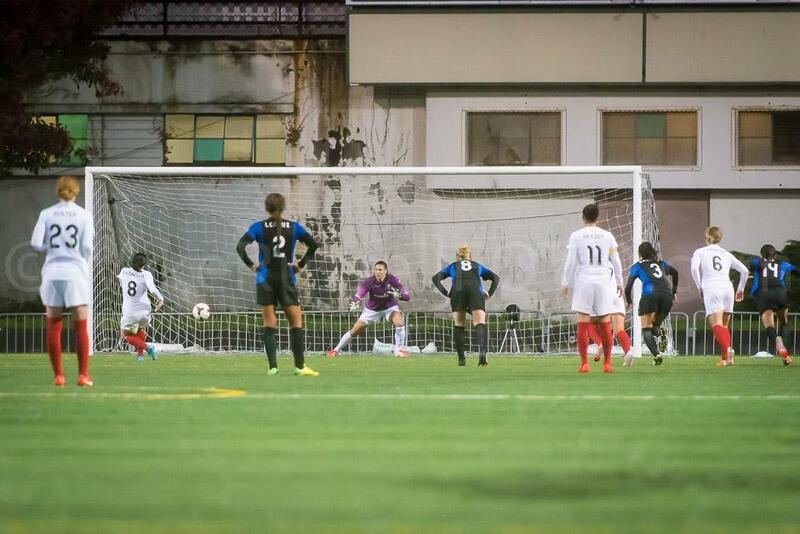 From the angle I was shooting, I thought for sure it was going wide. 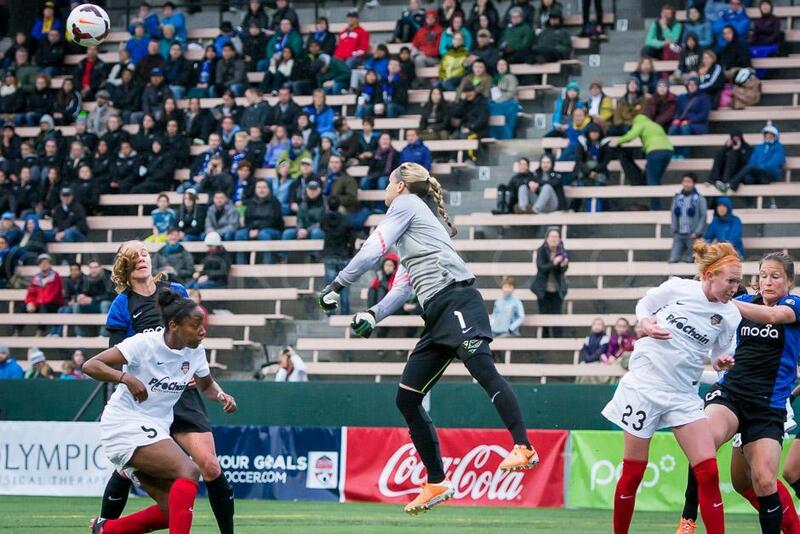 They didn’t manage a clean sheet this time, but the only goal the Spirit scored was off a penalty kick by Diana Matheson. 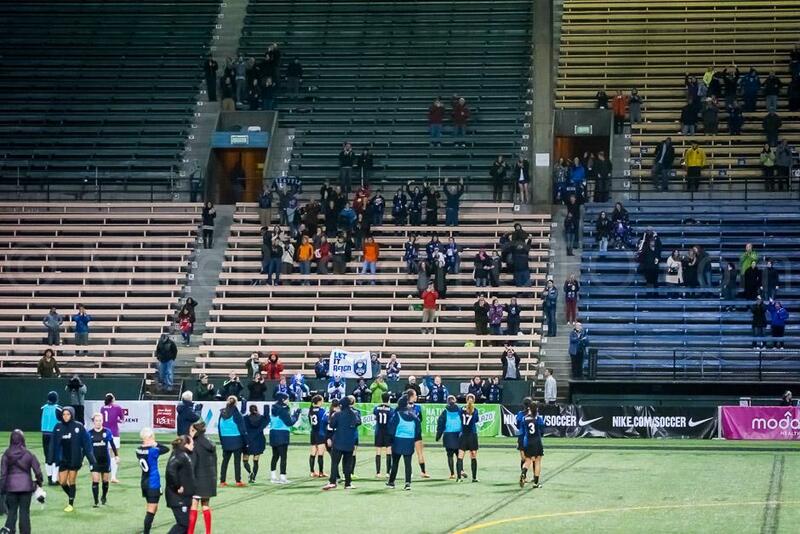 The crowd was a bit smaller than the opening match, but that’s not really very surprising. 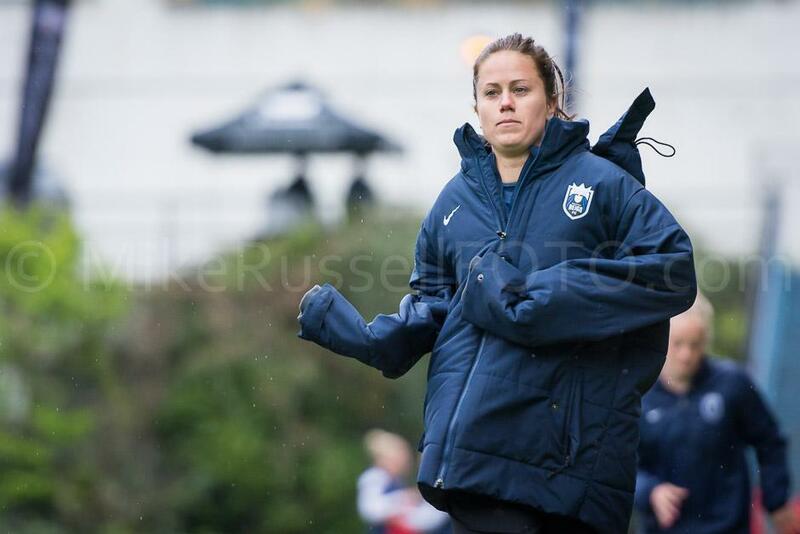 It was a cold, windy, and rainy mid-week match. 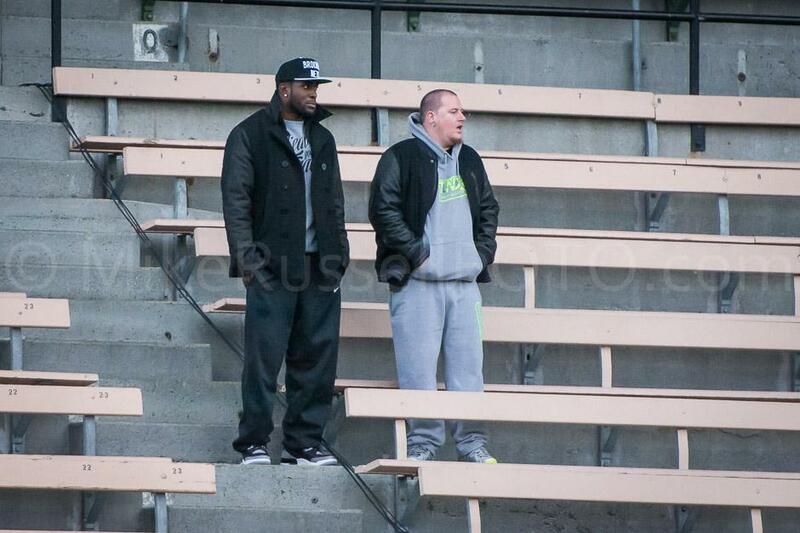 Frankly, I thought the turnout of 1,754 was pretty good, all things considered. 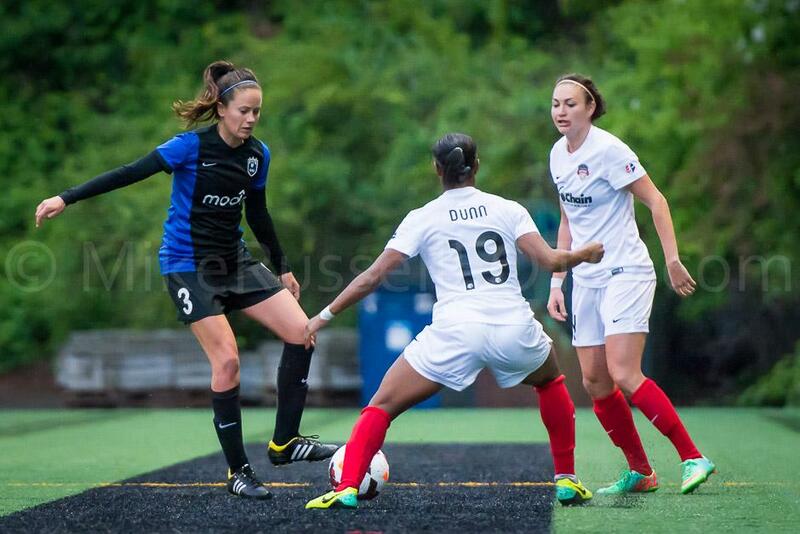 They will be at it again on Sunday at 4 PM when the league’s newest club, the Houston Dash, comes to town. 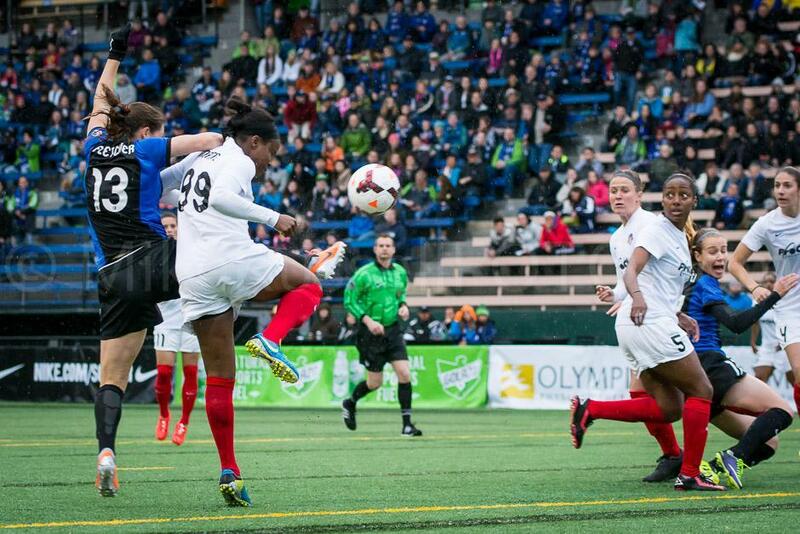 For more insight into the match, be sure to check out the recap on Sounder at Heart. 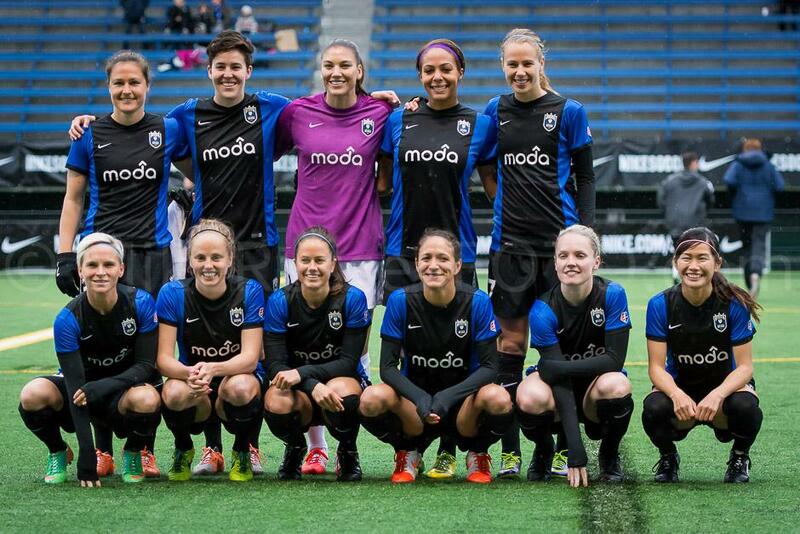 Ali Krieger, Ashlyn Harris, Beverly Goebel, Christine Nairn, Diana Matheson, Elli Reed, Haley Kopmeyer, Hope Solo, Jessica Fishlock, Kam Chancellor, Kate Deines, Keelin Winters, Kendall Fletcher, Kim Little, Laura Harvey, Lauren Barnes, Mariah Nogueira, Memorial Stadium, Mike Russell, mikerussellfoto.com, Nahomi Kawasumi, NWSL, photo, photography, seattle, Seattle Reign FC, soccer, sports, sports photography, Stephanie Cox, Sydney Leroux, team photo, Washington Spirit.